We are S.T.E.A.M. fanatics here in my house! We love sharing our S.T.E.A.M. 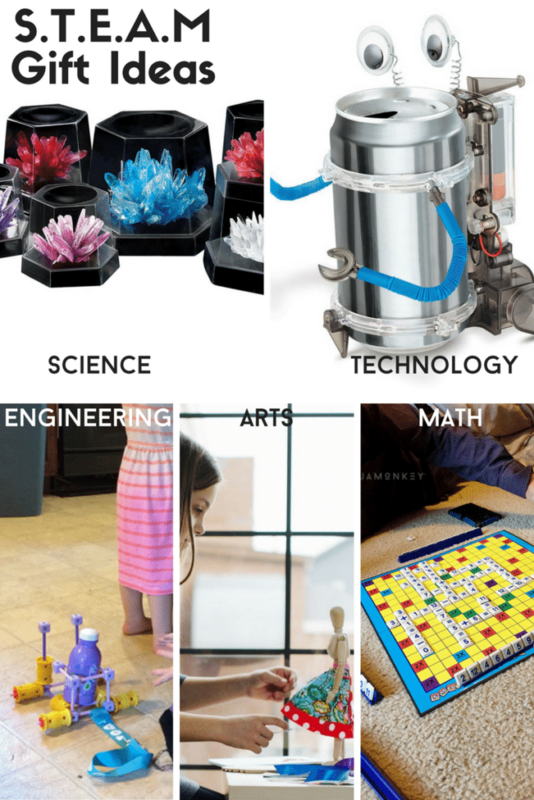 finds with you for our STEM Saturday features, and this week we want to highlight some of the best gift ideas for kids in this holiday gift guide. Some of the items on this list we were sent to review while others are still on our wishlist to snag this holiday. First up on our list is the Crystal Growing Experiment Kit . This has been on JaMonkey's list all year! 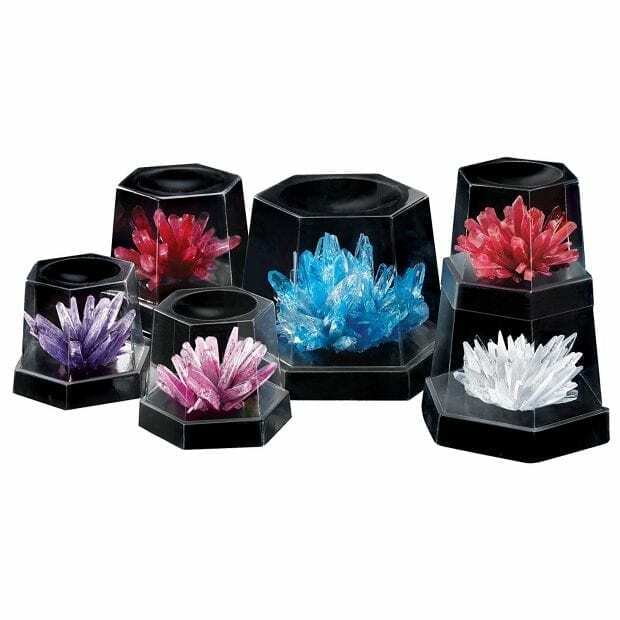 The 4M Crystal Growing Experiment teaches kids and adults about the beauty and complexity of crystal growth with stunning results. Simply follow the directions to conduct seven different crystal growing experiments. Watch as each sparkling crystal forms and grows inside its own unique display dome. Once grown, these crystals will last indefinitely for family and friends to enjoy. How cool is that!? This kit is an excellent gift for any child who's interested in science or geology. It has everything you need to get started, including crystal growing compounds and mixtures, seven display domes, stirring supplies, and detailed instructions. Recommended for ages 10 and up. Another great set of lab kits I suggest are the Mindware Science Academy Lab Kits. We did the Volcano Lab for STEM Saturday back in April and the girls had a blast. Recommended age of 8 and up. 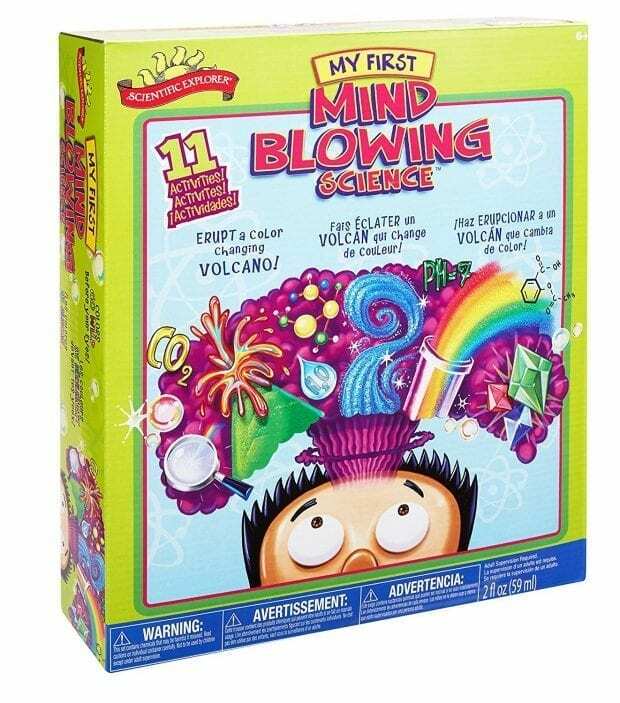 For the little ones, check out the My First Mind Blowing Science Kit . 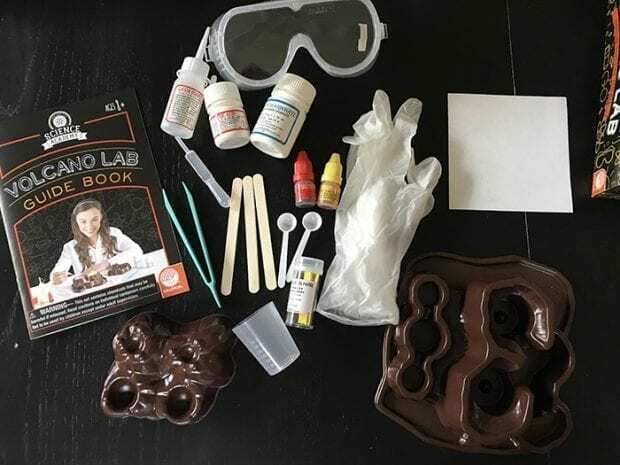 This is a 20 piece kit allows your young scientist to explore and learn the basics of science from chemical reactions to the use of scientific tools. Parker by Seedling – Your Augmented Reality Bear – This bear is ADORABLE and so soft. Great for little minds that love imagination play. 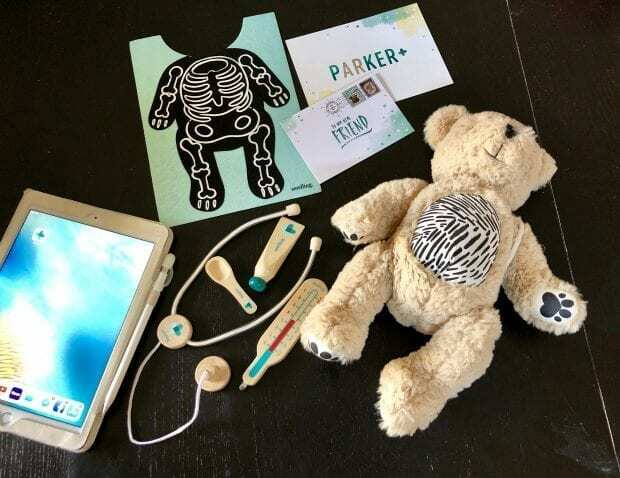 With the use of a tablet or phone running the Parker app, your child can take care of Parker and make sure he is happy. Check out our full review here. 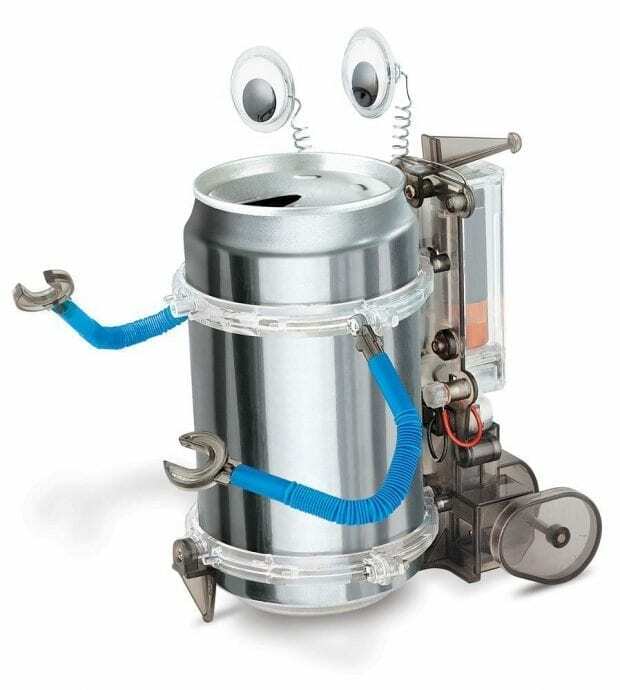 Tin Can Robot – Challenge your child's imagination with the 4M Tin Can Robot. Perfect for any young scientist, this fun robotics kit teaches the value of recycling by repurposing a used soda can into a moving, functional robot. The included supplies allow adults and kids to build a motorized monster, silly robot, or any combination of the two. Not only does it foster creativity, it's an excellent opportunity to show kids how toys are assembled and function. 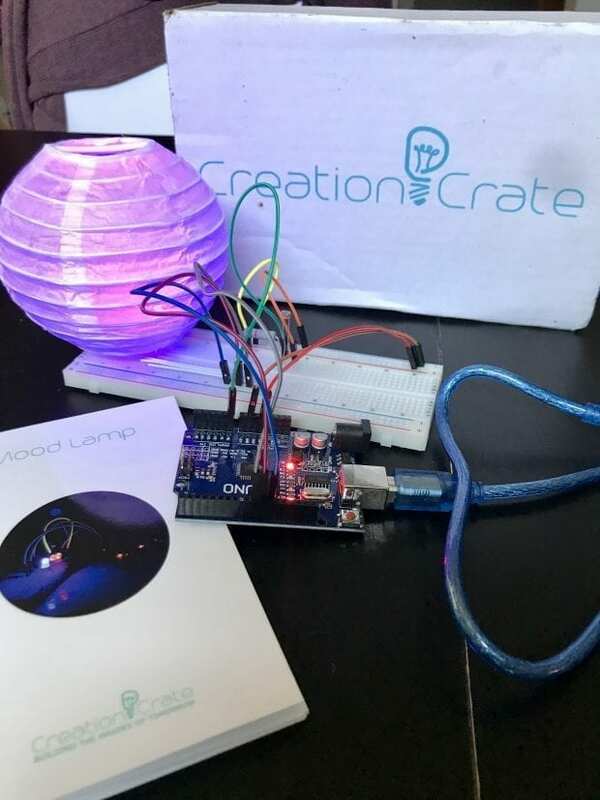 Creation Crate – This is a monthly subscription service that sends a cool piece of tech to build and code and each month builds on the previous month's lesson. Check out our review here. Find more great technology ideas here. 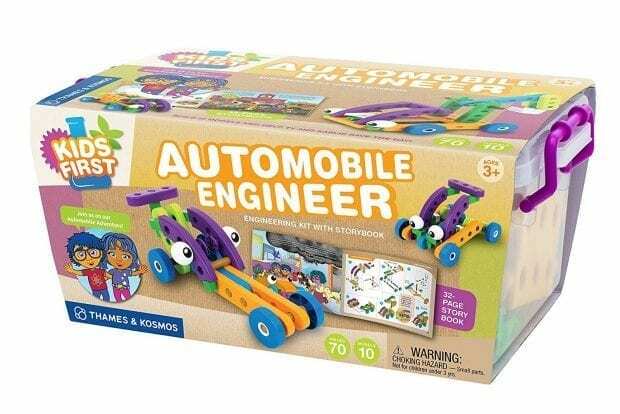 Kids First Automobile Engineer Kit – Read the funny story of Karlie and Ty Omega, two inquisitive kids who build simple models of the vehicles they encounter on their comical trip to the supermarket with their dad. Along this roundabout journey, the kids build various vehicles to help the people in their town solve problems and complete tasks. As you follow the story, you can build models of the 10 vehicles in the story. Large, colorful plastic building pieces make it easy for small hands to put the models together. 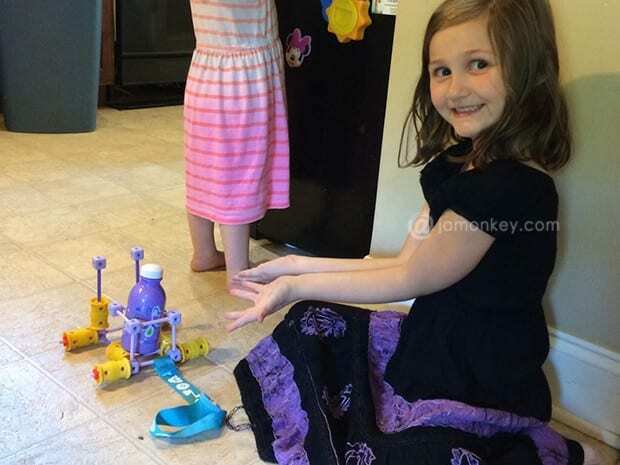 Goldie Blox – We've been a huge fan of Goldie Blox since they started on Kickstarter! My girls love these sets and are always making something fun. Seedling Crafting Sets – We love Seedling sets because they have all kinds to choose from. There are Disney ones where you can make your own Little Mermaid crowns, Finding Dory Snow Globes, and a paint your own Alice tea set. Our recent favorite is the Fashion Designer set. Smath Game – This is a fun game for the kid that loves math! 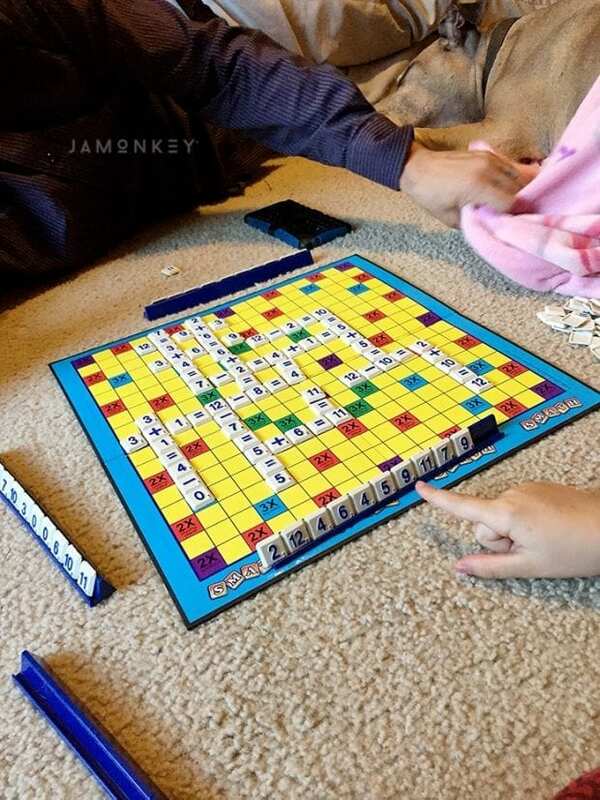 We had a lot of fun with this game. Check out our review here. Osmo Genius Kit – Osmo is a magical award-winning game system, it fosters creativity and problem-solving skills through hands-on play. The Genius Kit includes 5 fun games and the Osmo game system. Turns core subjects, like math (Numbers) and spelling (Words), into fearless fun. Encourages visual thinking (Tangram), problem-solving (Newton), and creative drawing skills (Masterpiece). Check out our full review here. Want more great STEM? You should subscribe to Amazon's STEM subscription service! I was provided a few of the items on this list in exchange for my honest review. This post contains links that I can make a commission off of only if you purchase. Red would love the can robot or the crystals kit. They have a Star Wars Version to grow “lightsaber crystals” which looks FUN!